Bonfire night is fast approaching and here at Ragus we are busy manufacturing tonnes of black treacle, muscovado sugar, molasses and golden syrup to be shipped out to our many bakery, cake and dessert manufacturer clients ready for baking and creating their Parkin and ginger cakes. ** See below for our Parkin Cake recipe. Originating in the North of England, typically Lancashire and Yorkshire, Parkin is a strongly spiced gingerbread cake traditionally eaten on Guy Fawkes Night and made with oatmeal and black treacle; two of the key ingredients are treacle and golden syrup. 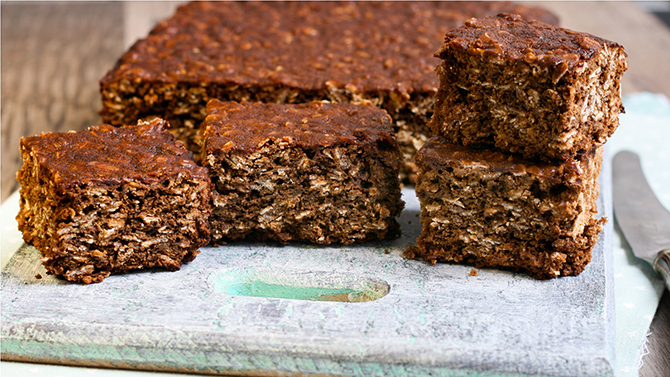 The idea of Parkin is said to have been created during the Industrial Revolution by working-class folk as oats and treacle were an important part of their diets in those times. Workers were on low incomes and spent long hours at work, returning home with little energy, so they needed cheap, energy dense food, to survive the long days. Oatmeal was the main cereal crop in the Northern climate and black treacle was easily available as it was imported from the West Indies through the ports of Liverpool and Hull. Black Treacle No.1 is a mixture of 50% refiner’s syrup and 50% molasses. It has a robust flavour similar to Cane Treacle, with a more rounded, smoother flavour than molasses. It is used in rich bakery products, Christmas puddings and rich fruit cakes. Black Treacle No.1 is also used as a natural food colorant. Cane Molasses is extracted from the juice residues created when sugar cane juice is boiled to extract as much sucrose as possible. These residues are very dark and contain trace minerals, as well as invert sugars, and colours that make up the natural raw flavour and aroma of cane molasses. It has a strong, robust, bittersweet flavour suited to Christmas puddings, toffee, savoury sauces and cooking marinades. 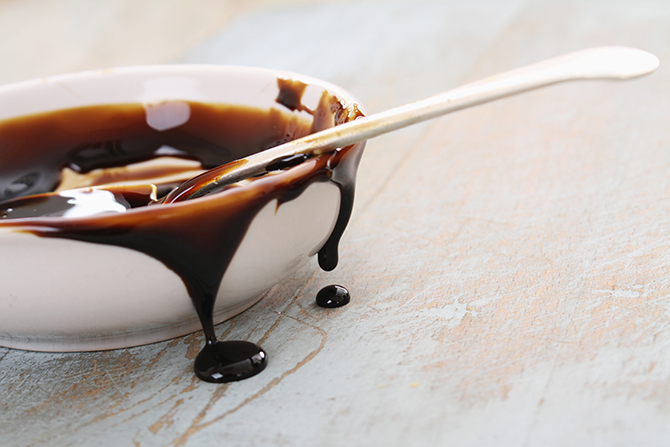 Cane Molasses is also used as a natural food colorant and a dietary supplement. · Beat together milk and egg. · Melt together the syrup, treacle, butter and sugar, stirring continuously until a smooth liquid forms, then remove from heat. · Mix together the flour, oats and ginger, then add to the syrup mixture stirring constantly. Add the egg and milk mixture. · Spoon mixture into tin and bake for 50 minutes – 1 hour or until the cake is crusty on top and feels firm. · Cool and enjoy – *A Parkin cake can last up to 2 weeks and becomes stickier the longer its left! Established in 1928, Ragus today are a leading supplier in the production of brown sugars, syrups and treacles for major food, drink and pharmaceutical companies. Getting to Know Ragus – Our Policies and Procedures! Ragus recently celebrated its 90th Birthday, a major achievement for a family run British company which opened in 1928. Since its beginnings Ragus has gone from strength to strength and we now run a full-service global operation. Our multi-million-pound state-of-the-art factory supplies hundreds of tonnes of pure sugar products to customers all over the world every day. Part of our success is that Ragus operates strict regulation policies and procedures in terms of quality control, safety and workforce etiquette, to ensure that our various departments work together effectively and efficiently to maximise our output, thus ensuring we meet our customers’ specifications; all our pure sugar products are manufactured to the highest quality. Meet Ibrahim, Ragus’ Quality Control Manager, who has been with the company for just over a year. 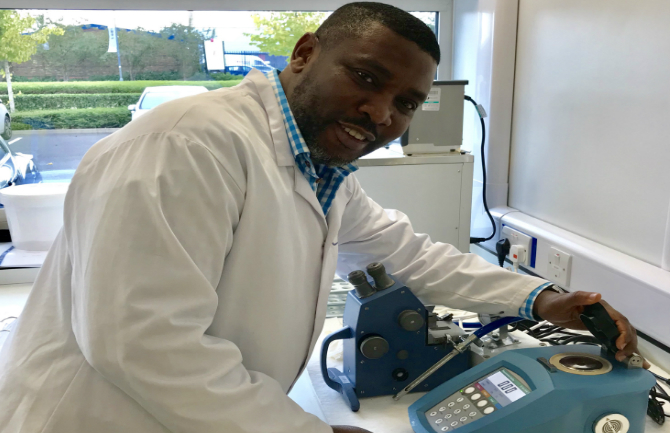 Ibrahim has worked in the food and drink industry for over 20 years, so his wealth of knowledge and experience is a great asset to Ragus. What are your responsibilities as a Quality Control Manager? You mentioned being in charge of the laboratory. Why does Ragus need a laboratory? Ragus’ facility, is one of the world’s most advanced sugar manufacturing sites producing hundreds of tonnes of sugars and syrups each day, what hygiene and food safety standards do you have to adhere by? “Hygiene and food safety is a major part of my responsibilities, my teams in the factory report to me on a daily basis; our facilities must be kept to a high standard of cleanliness at all times. I have to inspect the factory daily and if any area has not, for any reason, been given the right attention to detail I make sure it is rectified immediately. You said you were in charge of audits. What does this entail? “Yes, I am in charge of making sure we pass our own internal audits. I also visit suppliers, clients and other manufacturing plants we work with to run our own audits on them to ensure they meet all our requirements. We have recently (September 2018), had an audit from the BRC (British Retailer Consortium); this external board came into our factory and went through all of our processes to make sure our systems are adhering and working to the right BRC standards. Where does Ragus source its raw materials from? 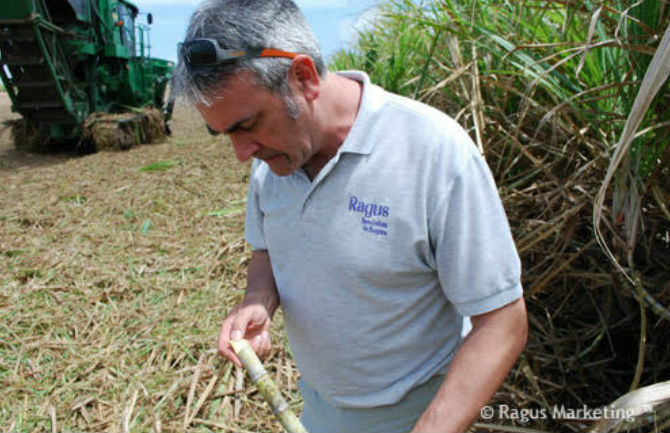 “Ragus produces sugars and syrups using raw/white sugar cane from numerous countries in Americas (Cuba, Argentina, Guadeloupe, Guatemala), Africa (Malawi, Mauritius, Algeria, Mozambique) and Asia (India, Dubai) to name but a few. 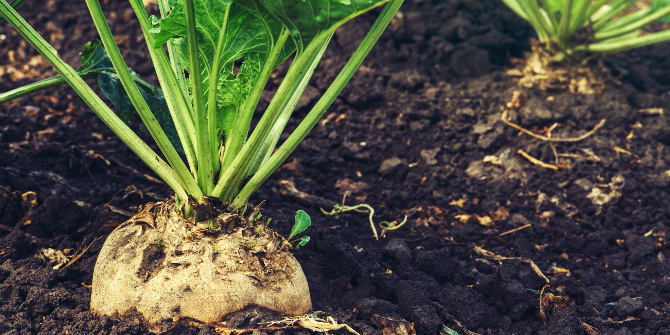 We also acquire our sugar beets from UK/EU sources. Our raw materials are soured from certified suppliers and we build long-term relationships with our suppliers. What is the process of taking raw materials and goods into the factory? In terms of delivering our products to customers, what is Ragus’ policy? “Working in partnership with our suppliers and customers around the world, we deliver on time and in full. All our products are put through safety checks before they leave our facilities, we have specific machinery that check for any debris or foreign objects. All products are sealed, wrapped and stamped adequately and to specification. Did you know that our factory operates around highly efficient workflows ensuring that we accurately coordinate the production, packing and shipment of hundreds of tonnes of pure sugars, syrups and special sugar formulations on a daily basis? In just over 6 months, the UK will cease being a member of the EU, which will completely change the way our country is run; all industries will be affected in one way or another, and one of the biggest shake-ups will be what happens to the UK’s food and drink sector. At the moment 70% of UK food and non-alcoholic drink imports and exports are accounted for by the EU, and since we are currently part of the EU internal market, there is zero-tariff trade on goods, plus no border checks, custom duties or inspection; obviously this will change once we leave the EU. At Ragus, we are leading suppliers in the pure sugar market so what happens when we leave the EU is a subject that is high on our agenda and we want to support the UK sugar industry as much as we already do. According to Greg Hands, the Minister of State for Trade Policy, he insists that the UK is committed to keeping a mix of beet and cane sugar supplies once it leaves the EU, and that the Government will seek a procedure where cane and beet sugar will be ’able to compete on an equal basis’; he adds that the UK sugar beet sector is ’one of the most competitive in the world’. 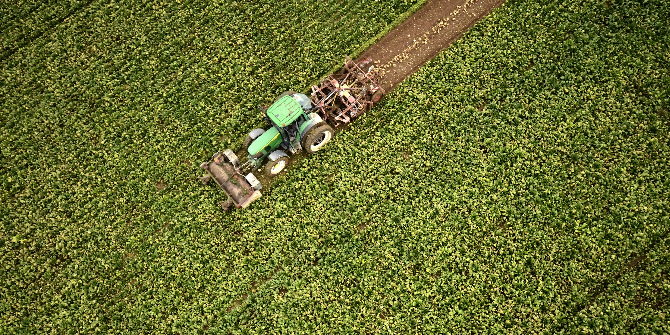 As it currently stands, 60% of the sugar consumed in Britain comes from sugar beet grown and processed in the UK & EU. The remaining 40% of sugar, consumed in the UK, comes from raw sugar cane which is grown outside the EU in countries like Brazil, China and India, and is subject to import tariffs. However, the worry from domestic beet growers, once the UK leaves the EU, is that the UK Government could relax or even abandon its support for home grown beet sugar, favouring transactions between private parties which are free from government intervention such as regulation, privileges, tariffs and subsidies. Thus, allowing food and drink companies and manufacturers to approach their suppliers directly from overseas; if this happens then the percentage of the sugar consumed in Britain that comes from home grown sugar beet could decline. Also, at the moment 2 million EU nationals work in the UK, that includes almost half a million in the food and drink supply chain; a third of whom work in manufacturing. Plus, over 50,000 are employed on a seasonal basis in farming and agriculture; thus, it isn’t just imports and exports that will be affected if the Government can’t put their visions into place, it’s our workforce too! No one can yet predict the future, so it comes down to a case of having to wait and see what the future of UK sugar supply will be. Greg Hands offers the promise of continuing support for UK beet growers, but only time will tell! Ragus pure sugar manufacturing was founded by Charles Eastick in 1928. Since then the family run company has been passed from generation to generation to become the last independent sugar manufacturer in the UK – a great achievement. So, the Ragus company and its owners certainly know sugar product ingredients. As does someone else… Ragus’ Quality & Technical Manager, Richard Livermore, who has been an employee with the company for over 17 years; he is someone who has become a part of the family and the furniture! Richard is on the road to retirement at the end of 2018, so it’s high time we introduced you to him before he leaves Ragus for a life of leisure. What are your main responsibilities as a Quality & Technical Manager? 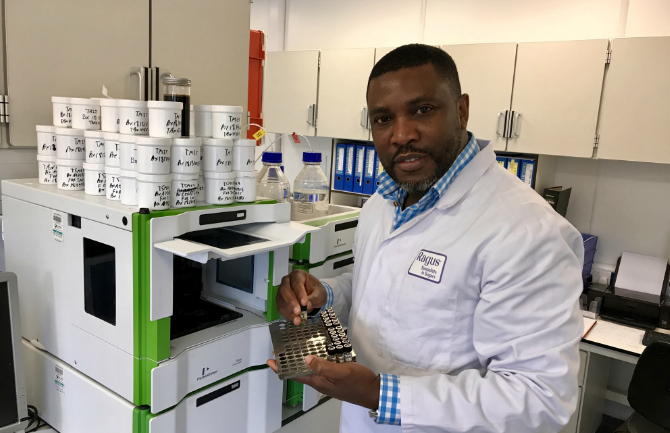 “I make sure that the factory runs smoothly and is compliant to BRC (The British Retail Consortium) and the ISO (International Organisation for Standardisation). In the food industry you have to make sure that you follow all regulations and guidelines as we are supplying products for human consumption. These regulations cover our selection of ethically sourced raw materials to the controlled transformation into Ragus high quality functional ingredients. For those who don’t know, what exactly is quality control within Ragus? Do you ever have to reject containers? You’ve been with Ragus for nearly 2 decades, how has the company evolved over time? 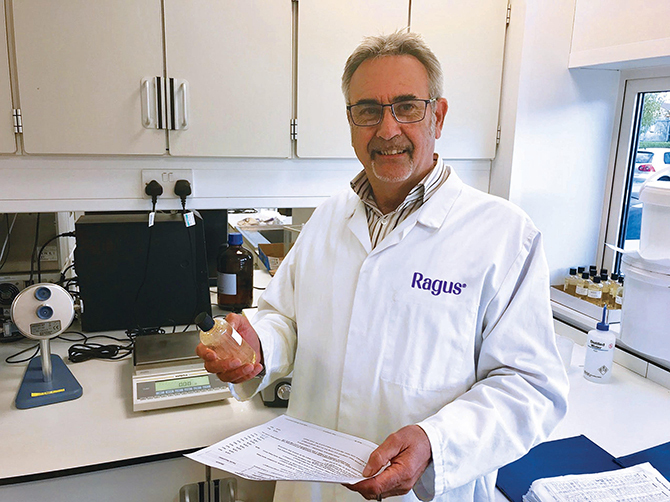 “I’ve worked in the sugar industry for over 40 years, the latter half of which has been with Ragus. The main changes I’ve seen is the implementation of our new factory. We moved into our new state-of-the-art production facility in 2013 and it’s been the greatest development for us as a company. Our production output has grown dramatically. So, by the sounds of it the new factory makes your job and life easier to manage? How are products kept and stored in the factory? As Ragus has expanded in terms of facilities, how has this impacted on product development? What procedures does Ragus have in place in terms of ‘food safety’? Will you miss working in the sugar industry? What has been the most memorable times you’ve had at Ragus? Lastly, what are the high and lows of travelling to all the sugar mills and facilities around the world? “The highs have to be the people you meet along the way. There is such a diverse range of people with various skills and experiences, but they are all so accommodating and happy to meet, speak and entertain visitors. Visiting and auditing the refineries and mills is a pleasant experience and it’s good to see all the processes working and where the raw materials come from. I will certainly miss the travelling, especially to Malawi which was incredible, and the experiences that I have been lucky enough to encounter. You are currently browsing the Ragus blog archives for October, 2018.